One of the easiest ways to make this Wine Raconteur happy is when I receive another shipment from my wine club “A Taste of Monterey.” Since we pay for this wine club, I do not have to write that I am writing about the wines, any differently then every other wine that I have written about. I am not beholden to anyone or any firm, so I can proceed as usual and of course since we just received these wines, it may take some time, before I ever get around to having them, or to really write about them. 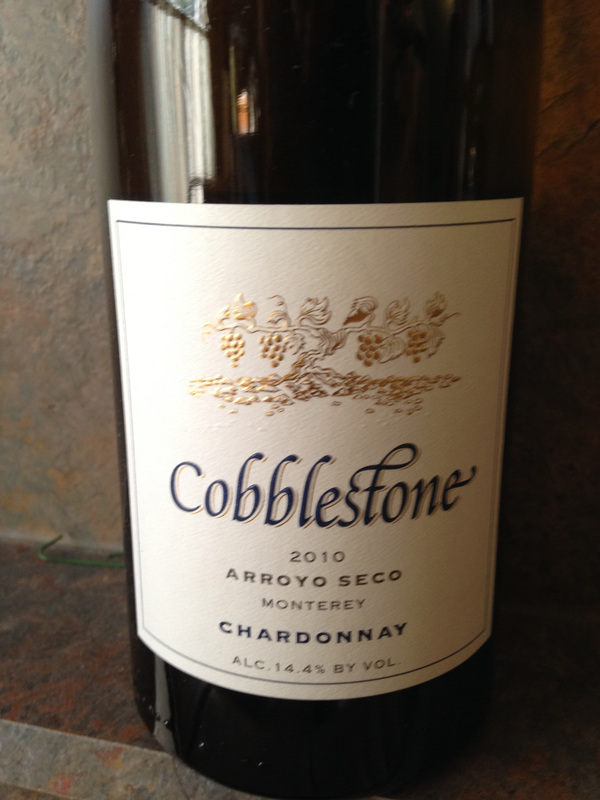 The first wine that I unpacked was a Cobblestone Arroyo Seco Chardonnay 2010. Cobblestone is a small family owned winery, which is interested in making affordable, quality wines. The winery began inn 1971 and came up with the name from the small round cobblestone rocks found in their first vineyard. The Chardonnay grapes for this wine came from the first fifty acres in the Arroyo Seco AVA vineyard and the winery uses French Oak for aging, and the estimate aging potential for this wine is six to seven years. 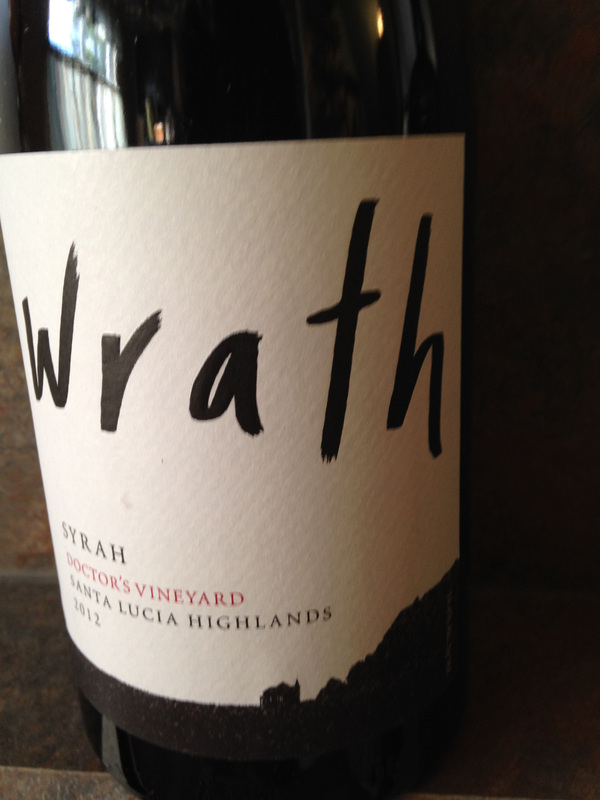 The second bottle that I unpacked is the Wrath Doctor’s Vineyards Syrah 2012. I have written about other Wrath wines that are either produced on their own property or from respected properties in the area. Doctor’s Vineyard comprises a large segment of the total acreage of the Santa Lucia Highlands AVA, and as of to date, I have not had a bad bottle from this area. There is a suggested aging potential of seven to eight years for this wine, and I find that an aged Syrah is a true pleasure after it mellows out. The last bottle of the shipment is DeTierra Tondre Grapefield Pinot Noir 2012. 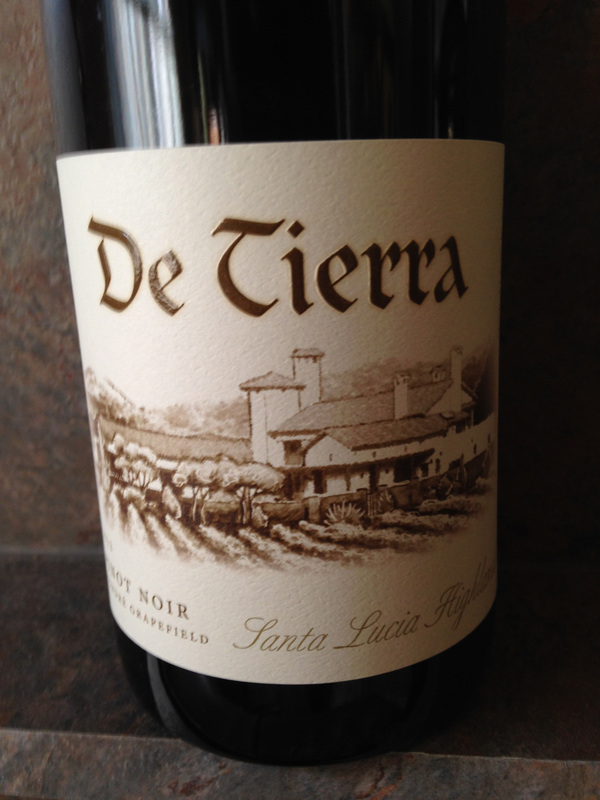 DeTierra is another family owned winery and they source their fruit from assorted vineyards in the Monterey County. The Tondre Grapefield was planted in 1997 and started with six and half acres, and over the years it has acquired seven blocks with a total of eighty acres in the Santa Lucia Highlands AVA. There is an assortment of Pinot Noir clones planted in the Tondre Grapefield, which allows a certain nuance of flavors to emerge both from the fruit and the terroir and I have had the pleasure of enjoying plenty of Pinot Noir wines from the Santa Lucia Highlands and I highly recommend them. This particular wine produced one hundred and twenty-five cases and the aging potential is five to six years. Three more wines that I look forward to trying in the years to come. This entry was posted in Wine and tagged "A Taste of Monterey", Arroyo Seco, California, Chardonnay, Cobblestone, DeTierra, Doctor's Vineyard, Monterey County, Pinot Noir, Santa Lucia Highlands, Syrah, Tondre Grapefield, Wrath Estate Winery. Bookmark the permalink.